Someone know what chances Jun-hwan has for Grand Prix spots? I think his Season's Best and World Ranking won't give him two (not sure if even one :cry:). He gets one spot for being in the Top 24 Season's Best list. I'm not sure if he qualifies for a second spot any other way, but I'm hopeful he'll be a host pick somewhere. I don't know why I am confident Jun Hwan would get 2. Breadstal, your avatar deserves +5 GOE!!! Thank you, @xeyra. I think he has quite a chance for host pick somewhere! 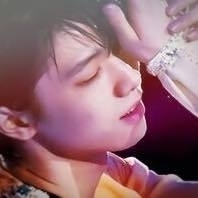 -Sentimental classic music for next FS. 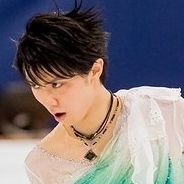 -He's thinking of adding 4S in SP, and 4T&4Lo in FS. -He will be back to Canada in April for training. There are always withdrawals so he might get 2 even without being a host-pick. I think Cha could get 2 tbh. : wince: Jun Hwan was one of my favorite juniors in the 2015/16 season, but the programs he had last season were so meh. I still like him, but I really wish he had something with more impact. I honestly loved his Il Postino this season, but DW is a hit or miss. I would like to see him work with Buttle too, for example. So: do we have any detailed new about the programs of Eun-Soo for next season? Which was the music/ program she is working on with Misha Ge ? I think Jun will get 2 without any problems for the GP. I am actually still not sold on him so I'm looking forward to seeing him in Seniors. My one wish is for the kid to not get insane tonnes of pressure on his head this season. Please. So far he was able to handle the pressure really well. He looks always so composed and calm :) But next season will be completely different and I hope too that the Korean Federation and Korean media won't put too much pressure on him. 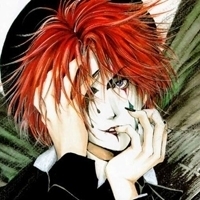 I preferred his programs which were choreographed by Miyamoto and Stuart (I loved Danse Macabre and The Swan), but I hope to see two great programs from him next season. I think Jun get choreograph from David Wilson again. His LP this season is ok, the sp is not my cup of tea though. His 3lo is good but idk if he get enough height to turn it into quad. Didn't he hurt his hip by training 4lo before national ? Anyway, I hope he won't get rush with quads. He still young and his chance will be at 2022.